Get into a merry mood and play this slot by Booming Games - Merry Spinning.Interact with Santa as he spreads holiday cheer throughout the world delivering gifts to children. 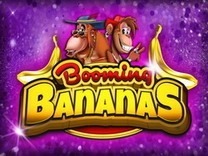 Become part of the action by spinning the reels of this slot for huge returns. Merry Spinning is a 5-reel, 3-row and 25 payline slot with features which will have you hooked to the slot.So get ready to fly the skies with the reindeers while angling for big wins by playing this amazing slot. The Christmas holidays is always a jovial season and Booming Games has capitalised with developing a game which envisions this seasons and celebrates it. Merry Spinning delivers the excitement and razzmatazz that is Christmas and adheres to this theme. The background of Merry Spinning is snow still falling from the skies filling the back of the slot. The soundtrack is also very catchy and Christmassy only changing whenever you make a winning combination.The graphics are excellently rendered allowing players to load and play the slot without any difficulties. 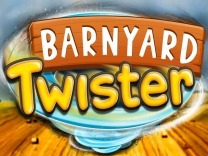 You can play this game on multiple devices such as mobile phones or desktop computers as it is mobile compatible. You do not need to worry about downloading any software as it can be played directly from a web browser.This slot is recommended for all players whether they are novices or veterans. 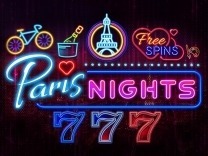 It is a medium variance slot which means that it will offer regular payments between spins. Booming Games has ensured that players get to enjoy their games. They have done this by ensuring that players are able to take control of their gameplay. Players can do this by setting their own stake. This can be done by adjusting the paylines and bet per line. Merry Spinning allows players to adjust the paylines between 1 and 25 lines, while the bet per line can be set between 0.01 and 20. 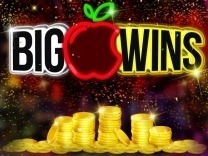 This ensures that players can play comfortably within their bankroll.Whenever you load this slot, you will interact with different characters including Santa, a Christmas tree, presents, mistletoe, grandma, tube socks filled with presents, cookies, snowman, reindeer, children singing merrily and elves. These are the standard and bonus features included in the slot. These symbols offer varied payouts. The highest payout can be won by matching 5 of Santa's symbols awarding up to 50,000 credits, while the lowest pay is 40 credits for matching 3 of the elven symbol. In Merry Spinning, you will find 25 paylines which will give you multiple opportunities to make winning combinations with each spin. You have to match at least 3 symbols on an active payline to receive a payout.Watch out for Santa as he is the best symbol in Merry Spinning. Matching 5 of these symbols will award a high payout of up to 50,000 credits. 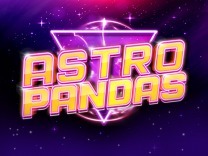 While you will find an amazing base game, you will be surprised by the bonus features which have been included in this slot. 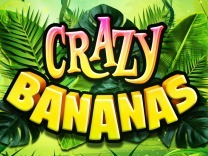 You will find wild symbols, scatters, and a gamble feature.The gamble feature is the first bonus feature which you will encounter when playing this slot. 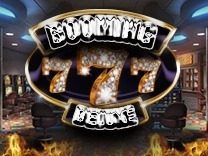 This game is presented as a double or nothing game where you have to choose between two symbols. Correct guesses mean doubling your wins while incorrect guesses mean forfeiting your wins.There is also a wild reel. this reel remains a wild unless for a single scatter symbol which may land on the reel. 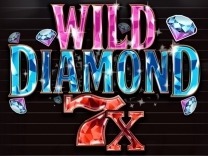 The wild reel is an addition to the wild symbol which will substitute all symbol on the reels except the scatter symbol.Merry Spinning also has tons of free spins. You have to land at least 3 or more scatter symbols on the reels. 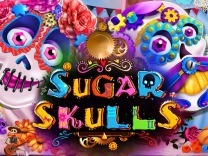 This will award 10 free spins. You can retrigger the free spins by landing more scatter symbols combinations anywhere on the reels.